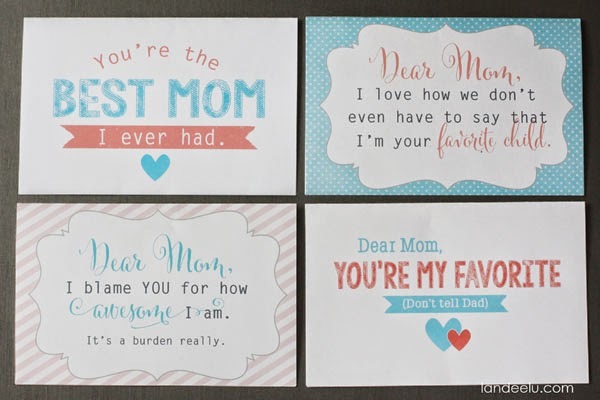 Let's hope that by now your loved ones have already figured out what they are doing for Mother's Day, but just in case you might want to send them a link to these free printable cards. If you are going to have to pick out your own card, it might as well be these awesome ones that Landee created. You can download these free printable Mother's Day cards over at Landeelu.